The Chaperone is an Exotic special shotgun that was introduced with The Taken King – follow this Quest guide to get it. The good: Fast RoF, Highest Range Shotgun (precision kill). The bad: No place for it in PvE. Conclusion: Unique and perfect for PvP. This weapon fires a single precision slug. Grants Agility boost. Precision kills briefly grant bonus handling, range and precision damage with this weapon. Three rapid precision kills while Born on the Road is active will return two rounds to the chamber. One of the least talked about (and most encouraging) facets of The Taken King is the introduction of Exotics that defy categorization. Since Destiny’s launch, Bungie has released a bunch of Exotics that have been received with varying degrees of enthusiasm – but almost all of them fit a certain profile. Bad Juju had some neat tricks up its sleeve, but it still behaved like a garden-variety Pulse Rifle; Thorn would confound and infuriate other Guardians, but it was still a conventional Hand Cannon at its core. The Last Word bucked this trend, but it was one of the few instances of innovation among a field that may have tinges of flavor, but lacked a distinct Exotic feel. No more! Normal Shotguns fire a number of lethal pellets (“buckshot”), that each deal individual damage as the shot pattern spreads. Cumulatively, they are enough to prove deadly to anyone in the Shotguns increasingly small range. The Chaperone, a Tex Mechanica weapon, instead fires a single “slug” that deals the Shotgun’s base damage in a single blow. It’s an all-or-nothing proposition; if you miss, you don’t get any damage. If you hit, you can outstrip even a max Range Felwinter’s Lie, Conspiracy Theory, or Party Crasher+1 with your OHK range. As has been the case with some of our unique weapons, comparing these stats to other Shotguns isn’t exactly easy. We can point out that its RoF is best-in-class, but this doesn’t mean as much unless you understand how its damage is distributed when firing. The Dry Rot/Secret Handshake class is going to behave different than The Chaperone, but they are a somewhat useful benchmark for assessing the rest of its stats. You’ll notice that its Range of 26 is also best-in-class, amusingly literally one-upping its competition by exactly one point. And Stability? Yes, you guessed it: best-in-class. The database reports it at 100, though you’ll notice when you pick it up it’s slightly under this. The slug you’ll be ejecting is going to go exactly where you point it, your Shotgun is barely going to kick, and it’s going to travel farther than any spread of buckshot possibly could. When you’ve emptied the mag, the disappointing Reload Speed of 29 will be quite evident, though thankfully you get a solid 5 shots before encountering this obstacle. Finally, it boasts an appreciable Aim Assist of over 70, competing with the infamous Party Crasher and the underrated Swordbreaker. First off, The Chaperone’s eponymous intrinsic perk grants your Guardian an unspecified Agility boost (+2 by our estimates), in addition to the aforementioned slug ammunition. The Agility is a nice bonus for Titans and Warlocks who want to fortify their mobility while rolling with this aggressive weapon; Hunters will probably notice it less. Certainly, it allows you to double down on Agility or spec elsewhere in compensating. 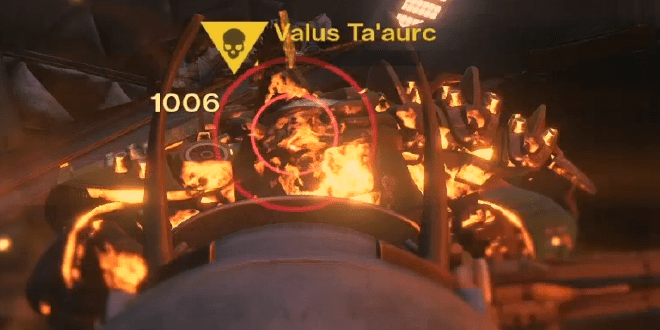 In the Crucible, the slug will deal 201 damage on a headshot, enough to kill any unshielded Guardian. Body shots before damage drop off will deal 183 damage. This means The Chaperone can not kill in a single body shot. However, it’s ideal for the “shotty beatdown” combo of Halo fame. If you aren’t comfortable meleeing, then you’d better learn to pick your shots! As far as ballistics/sights are concerned, it’s not a particularly important choice. The weapon is designed to fire with unerring accuracy and its base Range can’t really be improved. TefyTeft runs with Field Choke, but we’re certain you’ll have equal success no matter what you use. If you’ve got a preference, let us know in the comments. Its first perk, The Roadborn, offers an interesting suite of buffs for a short period of time. Your weapon’s handling, base Range, and precision damage will be improved for 8 seconds. Interestingly, this perk can currently be proc’d by a Primary Weapon kill, so be aware of this for when you’re trying to intentionally make use of it. It’s an excellent, momentum-positive perk, all things considered. The extra precision damage won’t be enough to OHK a shielded Guardian, but it will increase its effective OHK range by overcoming a small amount of damage drop off. The bonus handling will give you lightning-fast ADS times, and then make your Guardian a bit more fleet-footed while strafing. The center column has two great choices, and one that is best ignored. First of all, Snapshot is probably not worth it. With The Roadborn proc’d, its effects will be negligible. The miniscule buff to swap times and the significant buff to ADS is nice on a Sniper, but a Shotgun doesn’t demand these. Instead, opt for Single Point Sling to go all-in on your movement speed while aiming. With the +2 Agility and The Roadborn active, you’ll be scary hard to pin down in close range. Or, if you’re ammo conscious, Field Scout grants a whopping 28 reserve slugs – great for PvE or the ammo-hungry Crucible fan. The unique Exotic perk “The Survivor” is interesting, but ultimately fatally flawed. In order to activate it, you must first proc The Roadborn (i.e. land a precision kill), then, you’ll need to score three more precision kills in rapid succession. The window to do this is punishingly low; check out TeftyTeft’s review to see a group of Vandals and Dregs shuffle just long enough to interrupt the chain. If you do all of this, however, you’ll be given two free rounds. So, four headshots gets you two, and you’ll have three more shots in which you can try to activate it one more time, for a total of 9 possible shots. Of course, this will rarely, if ever happen – even in PvE. In PvP, you might go your entire career without making use of The Survivor. Speaking of PvE, The Chaperone is just not the right Exotic for the job. 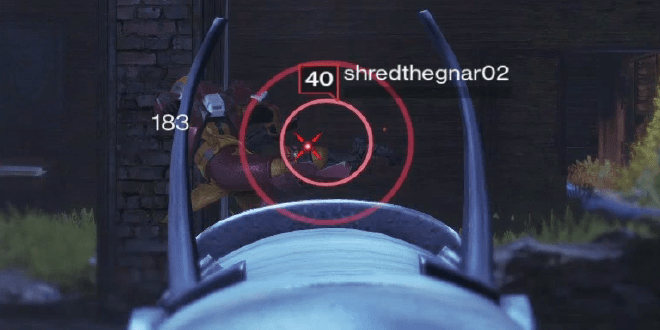 While its RoF gives it some nice DPS, Shotguns just aren’t the PvE bears they once were. What’s more, its DPS plummets if you can’t score your precision hits. 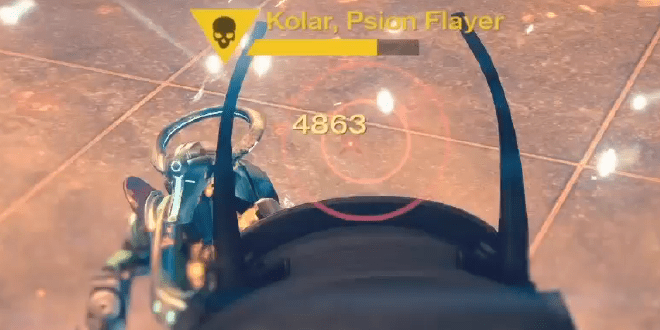 In PvP, you aren’t concerned with DPS so much as just getting those clutch precision kills. In PvE, anything short of a full magazine of slugs in the head will put you on your heels. Anything with a shield will cruelly absorb a slug without suffering critical damage, and this is a big knock to The Chaperone’s potential. So, it’s a special weapon that relies on precision damage – does that sound familiar? Yep, a Sniper Rifle will serve you better in most situations. 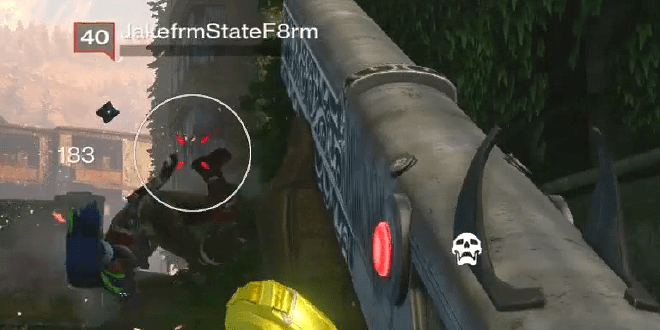 If you have scary accuracy, you can plow through a crowd of Tier 1 reds, making use of The Roadborn and even The Survivor, but the incentive to do this is obscured by the metagame itself. Primary Weapons handle the trash, and Special and Heavy Weapons are usually reserved for more resilient or tricky enemies. If The Chaperone’s “niche” is doing what a Primary Weapon is designed for, it doesn’t have much of a niche at all. Its real deadliness comes from the plain reality that no Shotgun can score a OHK at a farther distance than The Chaperone can. Simply put, if you have the skill and a familiarity with its range, you will win almost every Shotgun duel you enter. A word of advice: if you aren’t prepared to play aggressively, you won’t be able to take advantage of everything The Chaperone has to offer. The intrinsic Agility buff, Single Point Sling, The Roadborn – all of these perks push you to charge in and test your mettle (and your reactions). 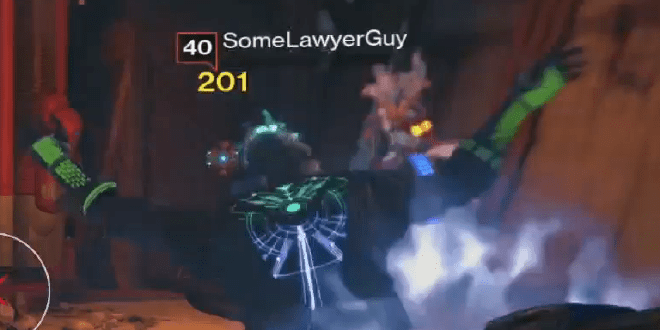 The ability to drop Guardians with a single slug can lead to some highlight reel worthy multi-kills, but when you miss the mark – and you will – you need to be prepared to follow up with a second shot, or a well placed smack to the face. Take advantage of every trick in the book. Hunters and Warlocks should shadowstep and blink to gain positional advantages, and all classes should liberally be prepared to slide in to engagements, making use of the extra agility and the insane hipfire accuracy whenever possible. The Chaperone is a weapon with an immensely high skill ceiling. It’ll perform like a demon in the hands of a vet, but is going to be a frustrating wet noodle for newbies until they learn to wrangle the bull. This leads us to The Chaperone’s PvP downside: other Shotguns sometimes are just better. It’s nice to imagine a world in which Guardians behave and wait to be slugged in the head, but the Crucible is often much messier. Sometimes you want a Shotgun that just says “Okay, you’re in my personal space, so I’m going to put you down.” Conspiracy Theory-D, for example, will obliterate anyone in breathing space – no headshots required. While you could accomplish the same feat by backpedaling and getting a clutch headshot, it’s easy to see which is more reliable for the average PvP-er. The Chaperone’s usefulness is proportional to that of yours and your opponent’s skill; if either of you are a tad oblivious, it probably won’t be as essential. Tex Mechanica doesn’t miss often, and The Chaperone is no exception. The design is simple and elegant, with a smooth and elongated frame accented by a sight that resembles a devilish pair of horns. The sound is all business, powerful yet compact, lending a satisfying punch to every kill. Anytime Bungie introduces an oddity, you know you’re in for a fun treat. Its stats and perks, combined with the unique slug mechanic, make for an exhilarating and top-tier PvP experience. If you take the time to get a feel for it, your CQB game will improve by leaps and bounds, and you’ll have a blast to boot. And hey, if you can handle the demanding bounty, it’s safe to say you’re up to the challenge. For PvP this weapon earns a 8.8/10 and for PvE a 6/10.